Adams Arms announced their new Model SF-308, Small Frame piston driven rifles at SHOT Show this year. Adams Arms has poured years of research and development to engineer an incredible new .308 AR-style rifle with many great features. The new Model SF-308 was so popular at SHOT Show that Adams Arms has already sold out their pre-order capacity! Though I believe a 5.56mm AR-platform is better suited as a Patrol Rifle in most circumstances, I do believe that a .308 caliber offering has its place in certain situations. When officers are confronted with longer range threats, or suspects behind fortified cover, a higher-powered rifle option is more beneficial than the standard 5.56mm Patrol Rifles. In addition, if immobilizing a vehicle is authorized there is a much greater chance of quicker incapacitation with the heavier .308 caliber over the standard .223 caliber. I understand that a .308 will not stop a moving vehicle, but fluid loss, and tire deflation are much quicker with the heavier bullet, and those will ultimately bring the vehicle to a halt. Having a highly accurate semi-auto rifle with detachable magazine, only increases the options and power multiplier that a rifle like the Adams Arms SF-308 offer law enforcement officers. 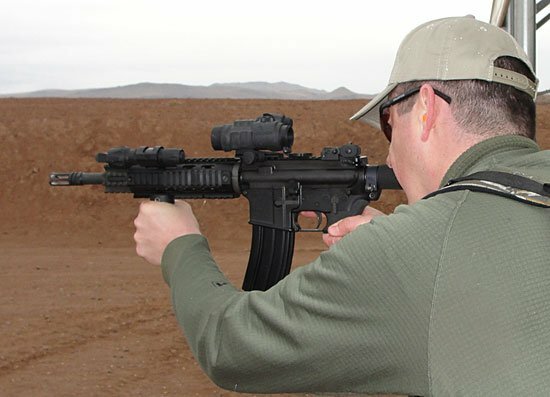 Most patrol rifles are 5.56mm/.223 caliber, but heavier rifles in trained hands can be a great benefit. However, I’m not proposing that all patrol officers switch to the heavier .308 rifles, but would instead advocate a limited number of those rifles being available. A best case scenario would be to deploy the rifles with dedicated Patrol Marksmen that have received some specialized training, that does not rise to the level of SWAT Team snipers. Adams Arms, of Odessa, Florida, only entered the firearms manufacturing market in 2007 during a time the American firearms market was literally exploding in growth. Major manufacturers were expanding existing lines and producing new lines at an incredible rate. At that same time dozens of new AR-15 rifle makers entered the red-hot “Black Rifle” market, all making some form of promise of improved performance or enhanced ergonomics or features. 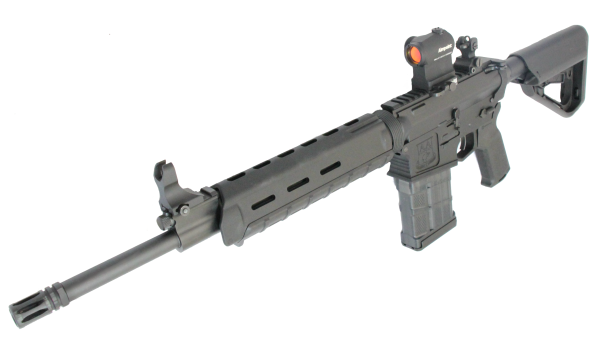 The base model Adams Arms SF-308 with optional sights. Adams Arms has risen above the noise by insisting on making products that work better, and not just look better. Adams Arms uses their own proprietary piston operating system. 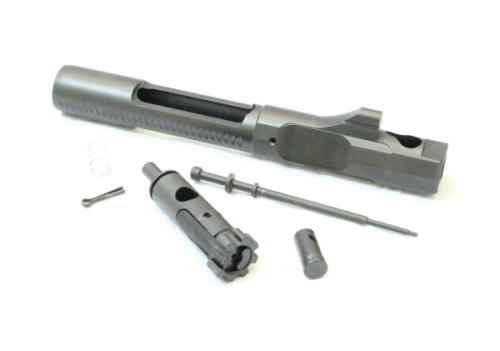 Like other piston designs, that system mechanically actuates the bolt carrier outside of the receiver, keeping the internal receiver and all the critical moving parts clean by reducing heat and carbon build up. 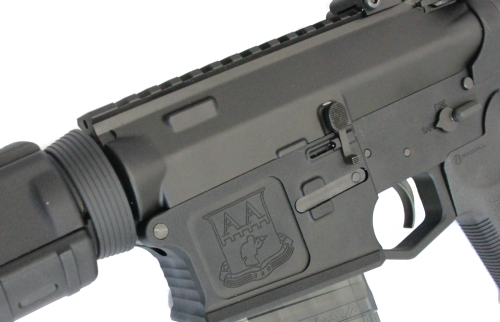 Adams Arms did not want to just put out another AR-10 style semi-auto .308 onto a market becoming more saturated with options. 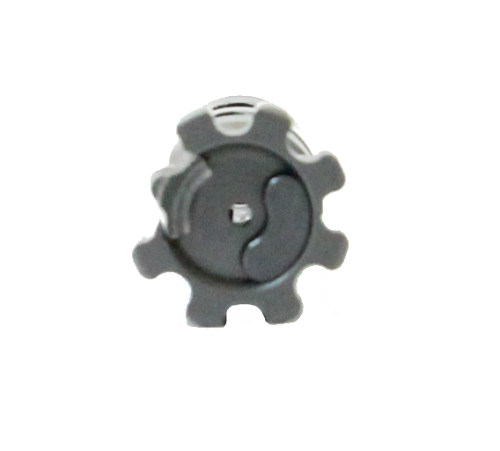 From all appearances, they took their time to develop a precision tool. The also did not throw out just a base model or a high-end model, instead taking the time to develop four new models for the SF-308 to meet a broad range of shooter needs. Does not vent direct to the atmosphere preventing flash signature and supersonic crack. 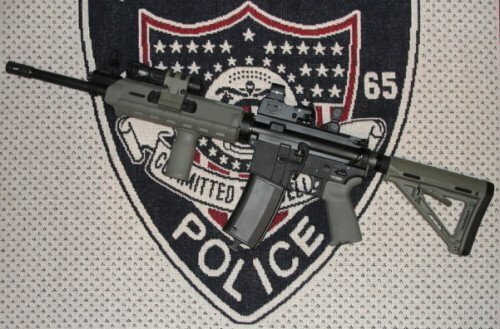 The Melonite finish and common parts shared with an AR-15. Adams Arms SF-308 with upgraded furniture and optional sights. Accuracy – (1) MOA Guaranteed for Life! VooDoo Innovations LifeCoat – Electro-less nickel base coating, PVD top-coating for lubricity of nickel and corrosion resistance and hardness of PVD. LifeCoat on brass saver bolts, XLP adjustable gas block and selector (on free-float models). More than 50% reciprocal to AR-15 parts. The Adams Arms short stroke piston is outstanding. 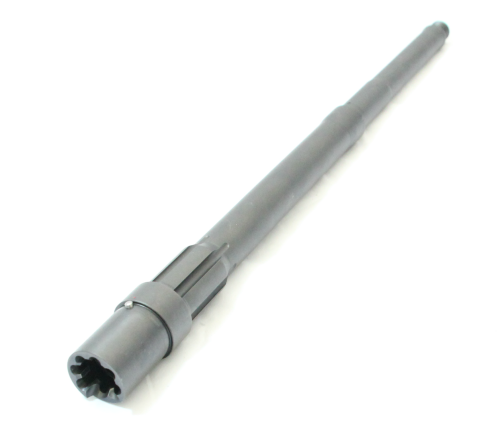 The Adams Arms SF-308 government profile barrel. The Adams Arms SF-308 bolt face. AUTHOR’S DECLARATION: I own (2) Adams Arms mid-length, gas piston uppers that I have purchased on my own. I have not received any compensation from Adams Arms, in any form, for this article. 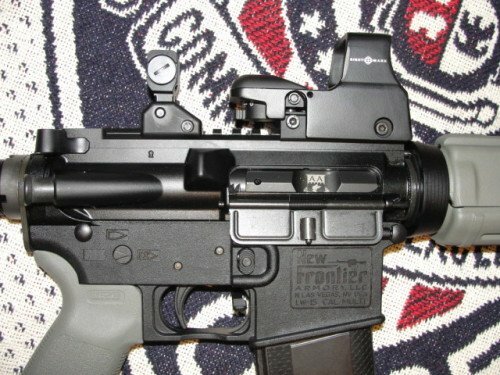 Having said that, I can attest that the Adams Arms upper receivers are outstanding. They are made to very high tolerances, and fit into the polymer New Frontier Armory lowers (and S&W lowers) with absolutely no movement. The piston system and internal parts are very well-built, with a solid fit. I would recommend Adams Arms uppers or rifles without hesitation. 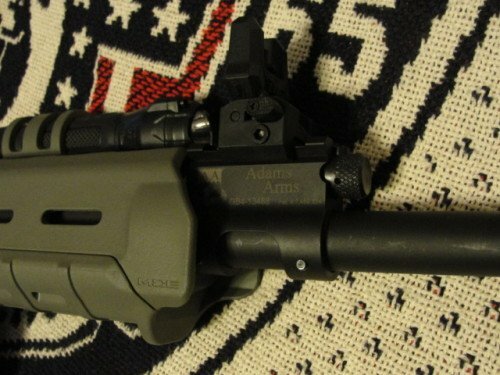 The author’s mid-length Adams Arms piston upper mated to a New Frontier Armory lower. Magpul Foliage Green furniture and Sightmark reflex sight complete.